The Apus Peru Sustainability Policy guides our operational practices and provides a benchmark to develop our future product. Our Sustainability Policy has three pillars: Ecological Impact; Socio-Cultural Impact; and Economic Impact. Provide good pre-travel information through our Traveler’s Code of Conduct and pre-departure information. 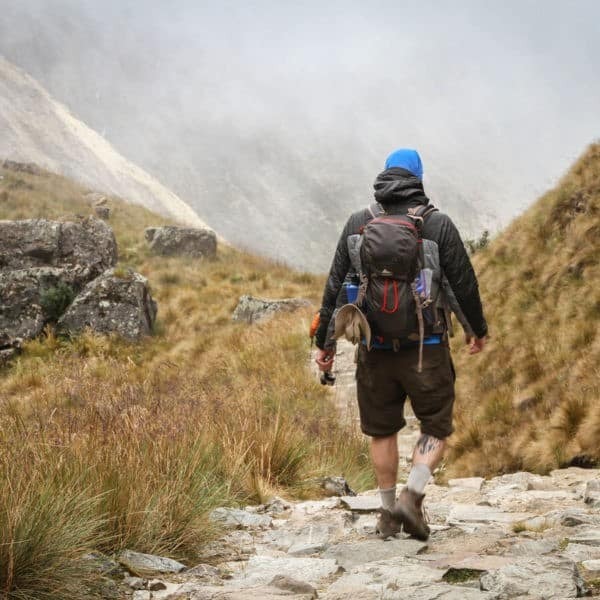 This includes information on best practices for trekkers while on the trail, from carrying water in refillable water bottles, to proper trail toilet etiquette, and bringing extra plastic bags in which to carry out all garbage. 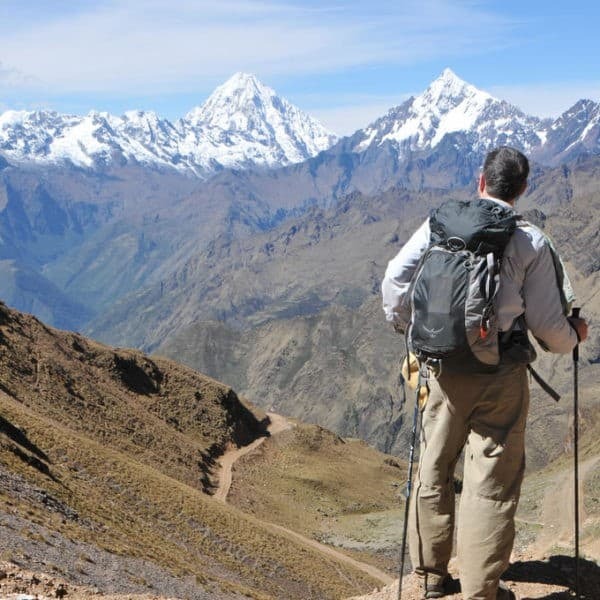 Minimize environmental impact while trekking. Encourage the use of biodegradable washing liquids and soaps. Use green power where applicable, seek recycling alternatives and promote minimal consumption. Investigate and source accommodation partners that use solar heat, wind energy, and carbon offsets to minimize their carbon footprint. Seek out and support efforts to protect native species and virgin rainforest in private nature preserves created and maintained by our accommodation and tour partners. Develop treks and tours with local projects that have direct or indirect environmental benefits. This might include tree planting, environmental education or discussion groups, or financial assistance with development of toilets, washing facilities or re-siting of such facilities when poorly located. Replace paper marketing products with our online presence, and request that our clients refrain from unnecessarily printing their emails. Investigate and implement a carbon neutral policy. We believe that tourism can benefit both local communities and visitors by creating bridges of understanding based on mutual respect. The Andean concept of ayni – “today for me, tomorrow for you” – or reciprocity, is central to any of our interactions with local communities, respecting the traditional Andean form of giving and exchange. We do not want to corrupt or change the socio-cultural structure of these communities. Where possible we encourage our clients to book by the beginning of each month, so we can schedule the guides, cooks and muleteers’ programs. This means that they have more balanced programs (beneficial for those with families) and also have guaranteed work days for the month – most important in a fickle industry. They are also able to know their expected income for that month. In remote communities, we engage in dialogue with community elders regarding their expectations of tourism in their village and their desires for visitor behavior. We educate our clients about appropriate and responsible behavior prior to visiting any traditional communities. There is a strong emphasis on behaving and giving responsibly. $20 of each of trek is invested in remote Andean communities through our partner non-profit organization, Threads of Peru. 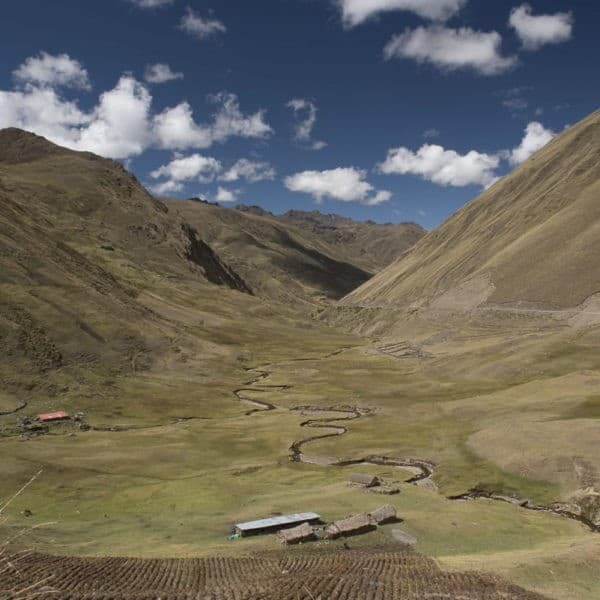 We have completed several socio-cultural projects (bilingual education, weaving revitalization projects, volunteer programs) that have direct benefits to high Andean communities. 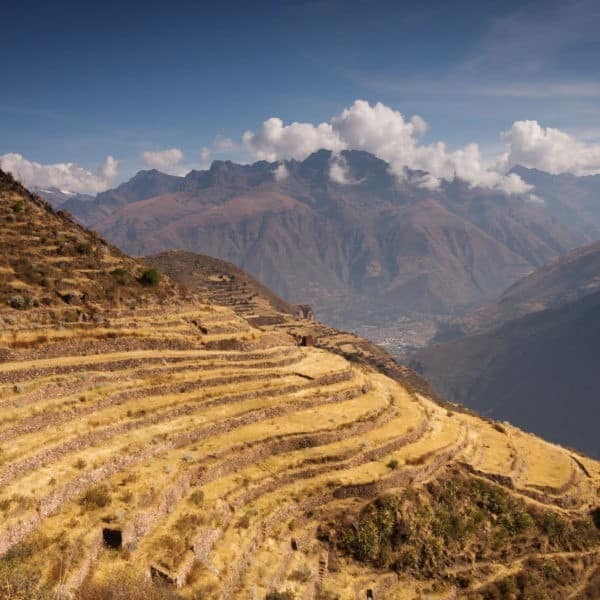 We employ local Peruvian guides, cooks and muleteers – and pay staff above industry standard. For salaried staff, we pay full benefits according to Peruvian law. We seek to employ staff from indigenous backgrounds and remote communities where income or opportunities for work are limited. We actively encourage only tipping for good service – not because it is an obligation or to fill gaps in our pay. We use local products and services. On longer, remote trips, we encourage our passengers to buy from local stores rather in the large cities to further distribute the wealth of tourism. We support homestays in villages. We work with clients and accommodation providers regarding expectations of both groups. We actively encourage our clients to purchase handmade souvenirs from people in remote communities. These products are usually weavings made by women and their purchase provides a direct source of income to women. International studies show that if women have income the health and welfare of their children is markedly higher. When working with other tour operators, they are selected for the quality of their service and also their commitment to economically and socially responsible practices. We pay Peruvian taxes. In Peru it is possible to evade this economic and social responsibility, but we have fully auditable accounts. We follow innovative best practices which demonstrate exemplary performance in the travel and tourism industry. We focus on incorporating community projects into treks. We plan to incorporate a one-day project on some treks so that visitors will be able to spend longer in a community and also appreciate a little of their life. There will be a focus on projects that benefit the community as opposed to those that the local people can do themselves. For instance, community members are able to construct toilet blocks or install stoves on their own, but are unable to design a shelter or a website. We provide English classes for staff. We donate $20 of each trek price to community projects. We operate annual training workshops for staff to update them on best practices, create team work and also celebrate successes. We encourage clients to express their concerns to their guide when they are worried about the sustainability of the practice. Many local guides are well-intentioned but are not always aware of the impact of their practices. The best learning for guides is provided by their clients as opposed to the management of a company. Otherwise, the client should note their concern on the feedback form that all receive at the end of the tour. 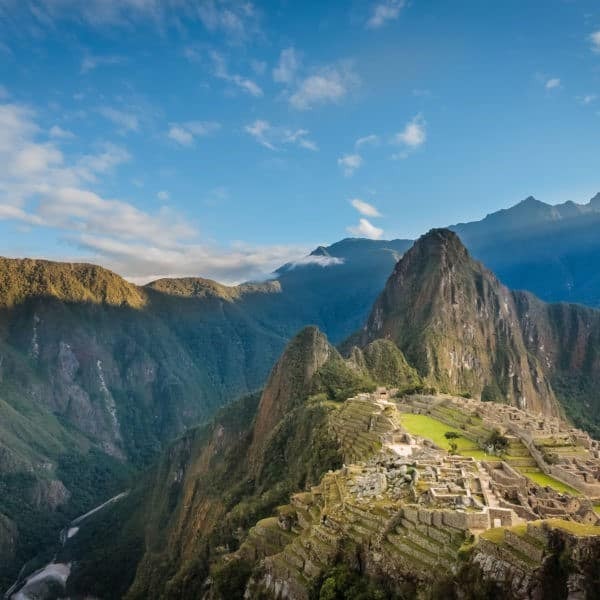 If the client has a serious complaint, they may write to the Reservations staff at Apus Peru within 10 days of their tour ending. The Reservations staff will then investigate the issue. Appropriate staff within the organization will be consulted and provided with an opportunity to offer solutions to the issue. Throughout the process the client will be kept informed and enabled to have ownership if desired.